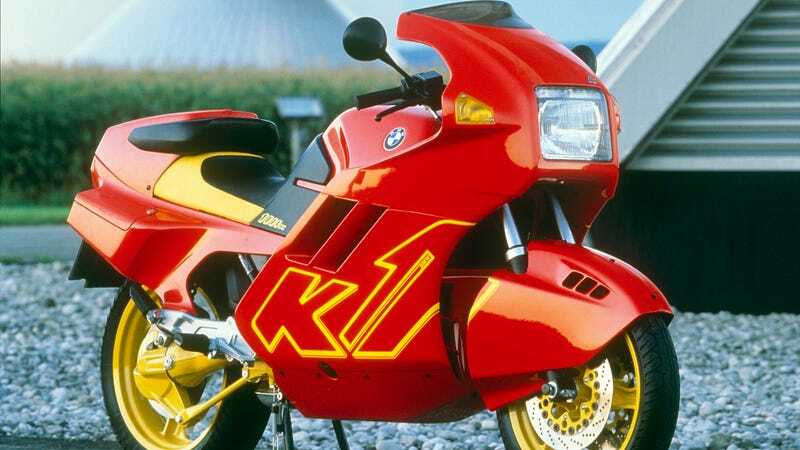 BMW’s late-80s king of the high-speed sports-touring bikes, the K1, is the most rad of all the motorrad. This one, with a giant rectangular headlamp, ABS, and a ketchup-and-mustard paint job, is the embodiment of rad motorcycles. Ya dig?